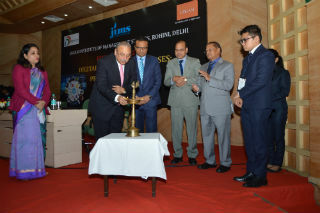 The JIMS conclave 2016 began with the welcome address by Dr. JK Goyal, Director, JIMS who welcomed the audience and discussed about the level of awareness about education sector and highlighted the contributions of JIMS as a multi-campus institute. 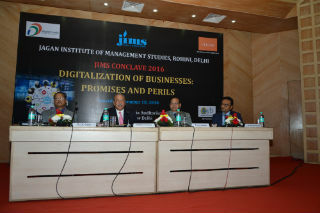 In the inaugural session, Dr. Mahesh Gupta (Chairman Kent RO System) spoke on the trends and methods of digitalization. He talked about computer and Interaction of electronic gadgets with the help of artificial intelligence. 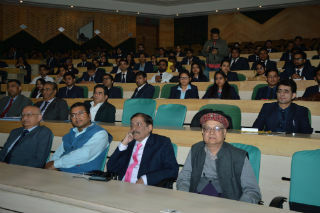 This was followed by Mr. Manish Gupta (Chairman, Jagannath Gupta Memorial Educational Society), who discussed the emergence of E-wallet, new guidelines by technical councils of the country in the wake of digitalization and emphasised on industry academia to bring about the desired change. Thereafter, Prof. A.P. Mittal (Member Secretary, AICTE) spoke on the growth of technology and its rapid evolution and entry into every area of our lives. 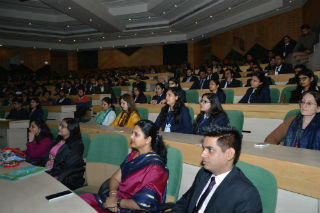 The inaugural session was followed by a short interaction with the audience. Mr. Ibrahim Ahmad gave a brief about digitization and the importance of networking infrastructure and the challenge before business- a how to transform & align with this digitalization? During the session, Mr. Amit Tiwari (Philips, Marketing Director) stressed on the real meaning of the word “digital” and fusion of marketing & technology. He also emphasised on understanding the target group and tapping the consumers at right time. Mr. Prashant Kapur (Vodafone sales Head) shared his company‘s achievements and the concept of m-Pesa and its presence all across the world. He discussed mobile technology trends and their application in Banking. E.g. E-KYC, Aadhar. He also threw light on the likely future of such technological improvements. 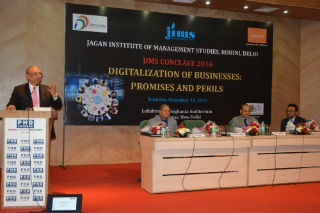 Mr. Jaydip Sinha (CEO, Digital Vidya) shared the background about Madison street capital. 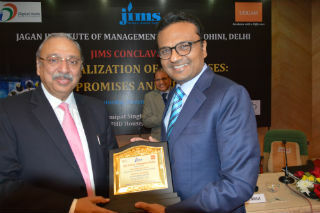 His discussion focussed on companies going into Red Ocean and contrasted the Red ocean-Blue ocean strategy. 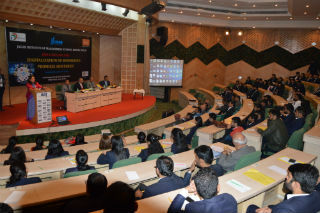 This session also ended with queries from the audience and the answers from expert panel members. The session began with a Presentation by- Mr. Manish Gupta on UDGAM. This was continued by Ms. Divya Gupta on who shared the significance and application of creativity and innovation. In the session deliberations, Mr. Gaurav Singhal (CEO, Blue Digital Media) deliberated on modern organisations, cloud computing for back-end work and ultra-mobile computing. Digital transformation of future was show cased with some illustrations. Ms. Aditi Aggarwal shared quotations from many business tycoons about digitalization and the importance of digitalization in corporate world. She also talked of the possibility of work from home due to technological progress. 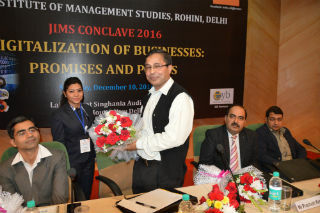 Mr. Gurpreet Singh discussed the challenges of secrecy & security due to digitalization. He focussed on transformation that may lead to more digitization and believed that digital revolution was required to change and sustain in the competitive world. The session ended with a Vote of Thanks.